Toyota said it would grant licenses on nearly 24,000 patents on technologies used in its Prius, pictured. TOYOTA CITY, Japan -- The head of Toyota's electric vehicle business said the automaker has received interest from more than 50 companies since announcing last week that it would offer free access to patents for EV motors and power control units. Shigeki Terashi also said Toyota Motor Corp. aims to use partnerships to cut by as much as half the outlays for expanded electric and hybrid vehicle components production in the United States, China and Japan. "Until now we have been a tier one automaker, but now we also intend to become a tier two supplier of hybrid systems," Toyota Executive Vice President Terashi said. Supplying rivals would greatly expand the scale of production for hardware such as power control units and electric motors that are used in gasoline-electric hybrids, plug-in hybrids, fully electric vehicles and fuel cell vehicles, he said. Toyota last week outlined plans to offer automakers and auto suppliers royalty-free access to nearly 24,000 electrified vehicle technologies patented by the Japanese automaker. In an interview on Thursday at Toyota's global headquarters in Toyota City, Japan, Terashi provided new details of Toyota's strategy, and its anticipated impact on the company's investment plans. By offering to supply rival automakers with parts used in Toyota's gasoline-sipping hybrid vehicles, the Japanese automaker sees a way to slash capital outlay by roughly half for new plants required to build electric car components for future models, Terashi said. "We believe that this approach will reduce investment costs significantly," he said. Terashi said Toyota projects a surge in demand for electrified vehicles globally as regulators insist new vehicles emit substantially less carbon dioxide, and that working with Toyota would offer others a low-cost path to compliance. Toyota's internal goal is to sell 5.5 million electrified, Toyota-brand vehicles annually by 2030, up from about 1.6 million vehicles now, he said. Already, Terashi said, Toyota believes it could reach the 5.5 million target as early as 2025. The company is working on plans for a new round of capital spending to expand capacity for producing the hardware required. By offering to supply electric vehicle hardware, and the know-how to integrate it into vehicles, Terashi said Toyota wants to reduce its capital outlay, and create a new source of revenue. "We anticipate that there will probably be very few automakers who use our patents to develop their own hybrids from scratch, so by using our system and our components, and offering our support, we can work together to develop these cars," Terashi said. 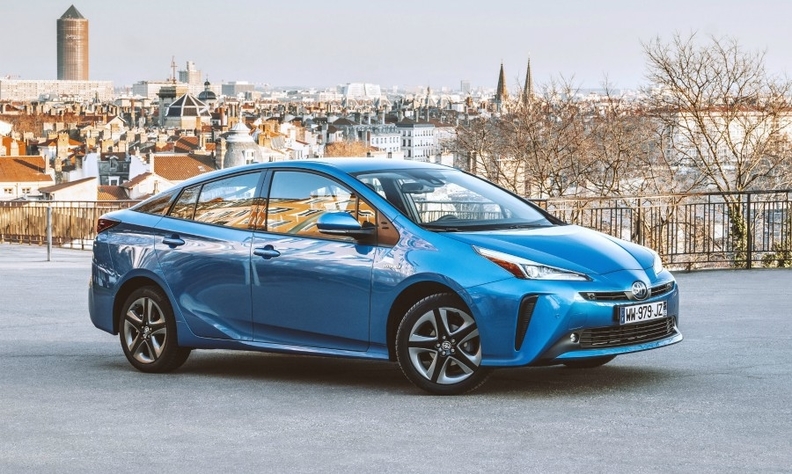 In the last 20 years, Toyota has managed to dominate the global market for hybrid cars by constantly improving and lowering the cost of the technology it pioneered in the Prius - and keeping this expertise a closely guarded secret. Toyota's new business foray underlines the challenges facing even the largest global automakers as they confront some of the most profound technological changes for automobiles in a century. Toyota is now trying to take advantage of its lead in refining hybrid vehicles, even as it runs behind global rivals such as Volkswagen Group and Tesla in bringing full-electric vehicles to showrooms. Roughly 15 percent of Toyota's annual global sales are hybrids, including the Corolla and the RAV4. Last year it sold 1.6 million hybrids globally, more than the 1.3 million full-electric cars sold by Tesla, Nissan and all other automakers combined. To meet the expected surge in hybrid demand, Terashi said he is planning to increase production capacity for hybrid components mainly by adding capacity at existing plants. Toyota has initially courted its partner automakers. It already supplies the plug-in hybrid system for Subaru Corp's Crosstrek SUV crossover model, and last month Toyota announced that it would be a global supplier of hybrid systems to compact car maker Suzuki. The success of the Prius has helped to brand Toyota as a maker of affordable, reliable green cars and has been key to the automaker's reputation as a leader in low-emissions vehicle technology. Terashi brushed off the risk that Toyota could lose this edge by offering its hybrid technology to other automakers, arguing that it held a crucial, 20-year head start over its rivals. "Even if an automaker is able to develop and produce a car using our systems and parts which complies with emissions regulations, its overall performance would never be the same as ours," he said.